Many of the world's greatest artists have shown us the brilliance and beauty in flaws. Leonard Koren writes about wabi-sabi, a Japanese aesthetic and art form, as "the beauty of things imperfect," and Leonard Cohen reminds us to "forget your perfect offering/There's a crack in everything/That's how the light gets in." 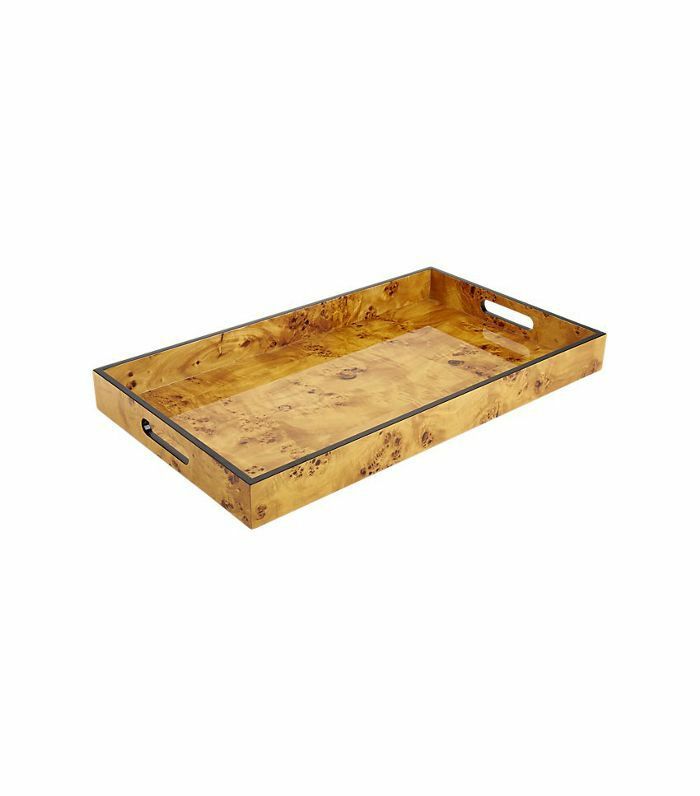 When it comes to interior design trends, there's no better proof than burl wood furniture. You may be surprised to discover that this grain of wood gets its intriguing, kaleidoscopic swirls from a mutation, usually manifesting as an outgrowth of a tree trunk after some form of stress. While born out of imperfection and mutation, the marbled twists of wood exude a striking, meditative warmth, bringing more depth to any space they enter. Because this type of wood is rare and difficult to work with, it carries a unique blend of rustic vibes and modern elegance. If you find inspiration in nature and love layering rich materials to create a nature-inspired texturescape, this interior design trend belongs in your home. 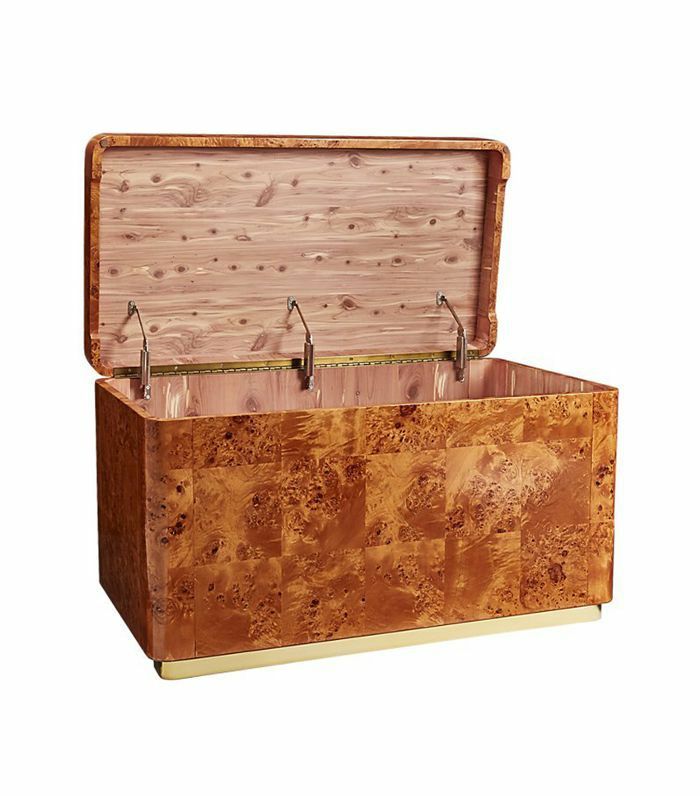 Shop our edit of burl wood furniture and décor we're loving right now. High-impact white lacquer against the rich burl wood veneer gives this dresser a one-of-a-kind look. It belongs in a room where people will be able to admire its beauty. 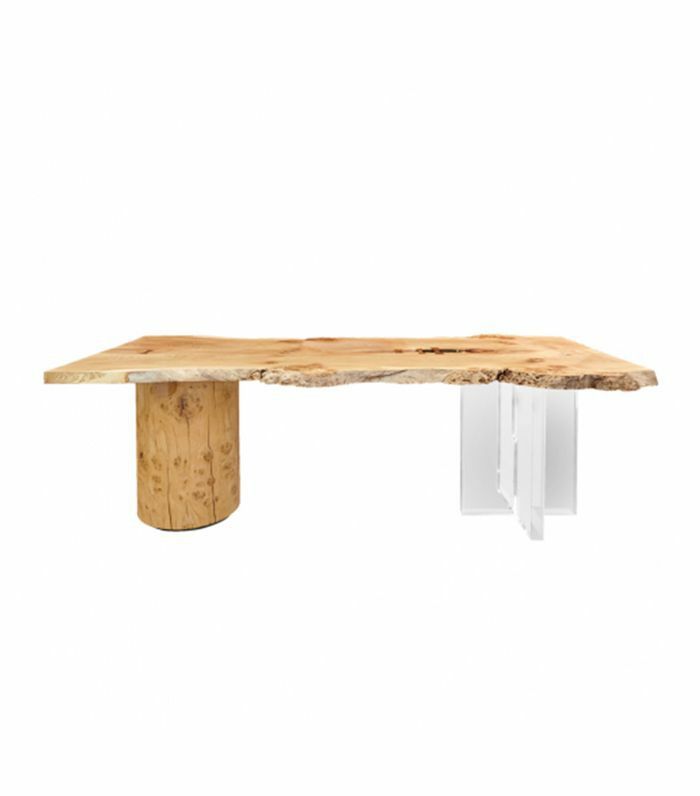 If you like the burl wood trend but prefer more raw and rustic pieces as opposed to the common glossy look, this one is for you. Use it as coffee table décor or a catch-all for your odds and ends. 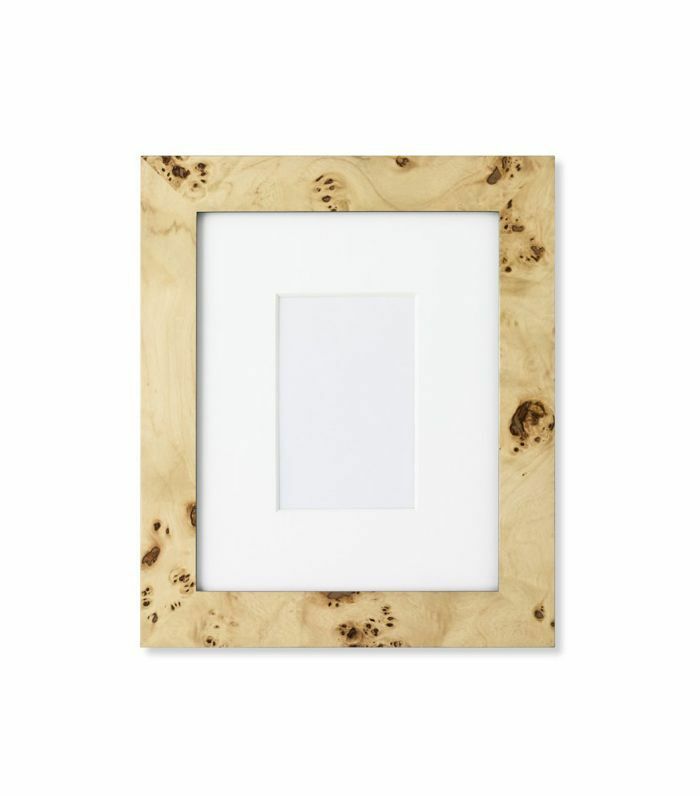 Update your average wood frames to a burl wood option for some extra quirk and texture. 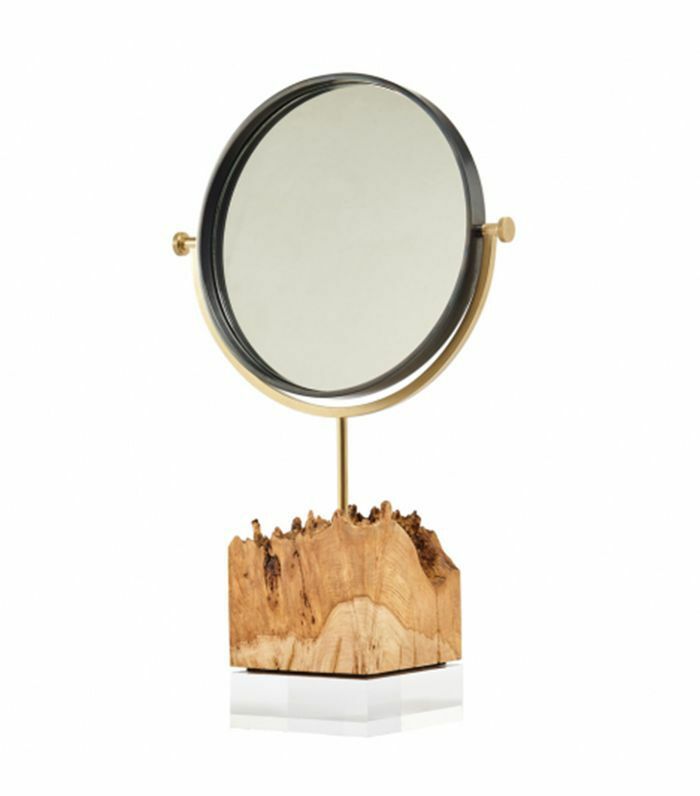 Propped up by a burl wood block, this is easily the chicest makeup mirror we've ever seen. In fact, it's more like a work of art made all the more beautiful by the jagged, natural asymmetry. Whether you need to get your surfaces organized in the entryway, living room, or home office, this small storage box will do the trick. 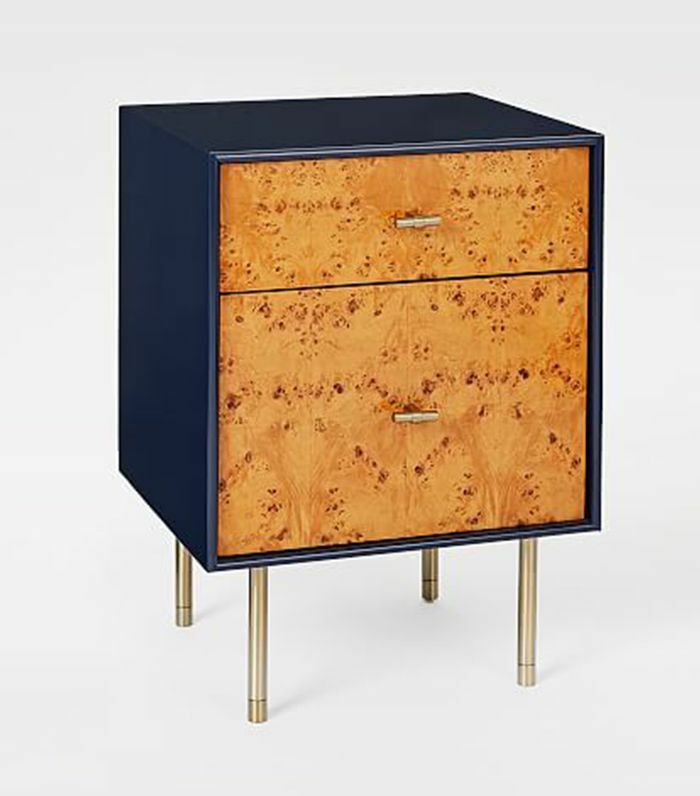 The contrast between the glossy navy blue paint and burl wood drawers create an interesting juxtaposition. It also has a nice retro vibe. 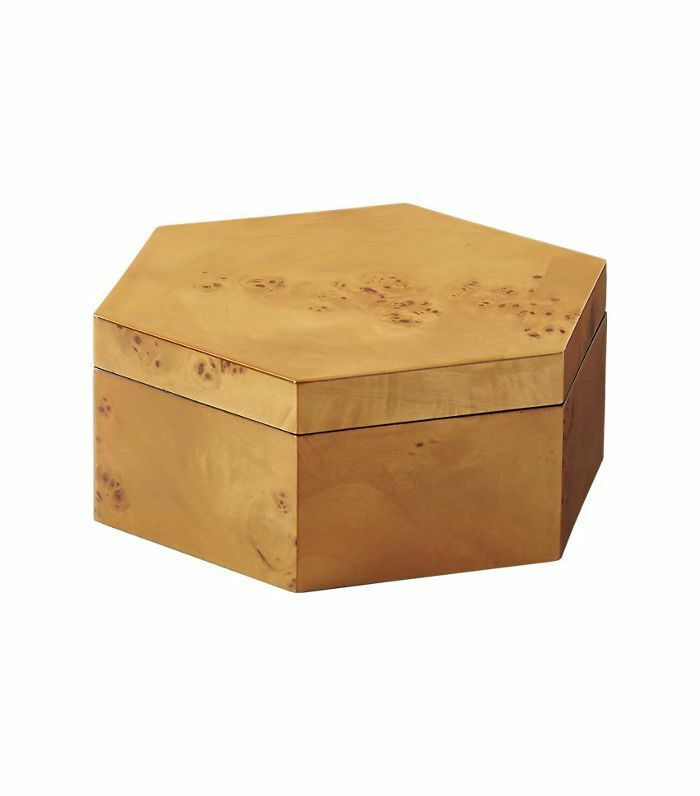 Use this stool as a side table or as extra seating in the living room. It'll also look stylish perched under a console table in the entryway. This is not your average light. 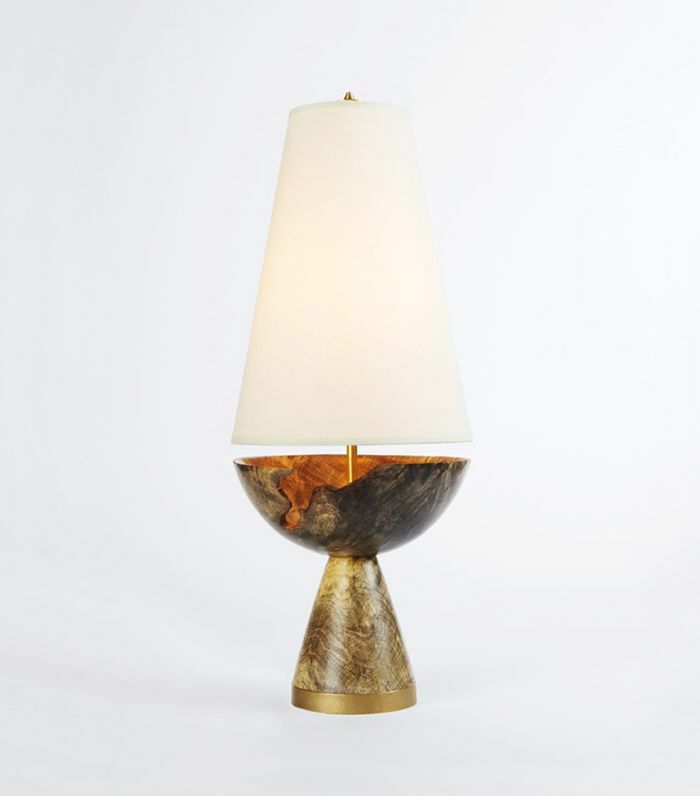 Inspired by burl wood design, this bronze table lamp boasts a sophisticated, moody feel, just in time for fall. 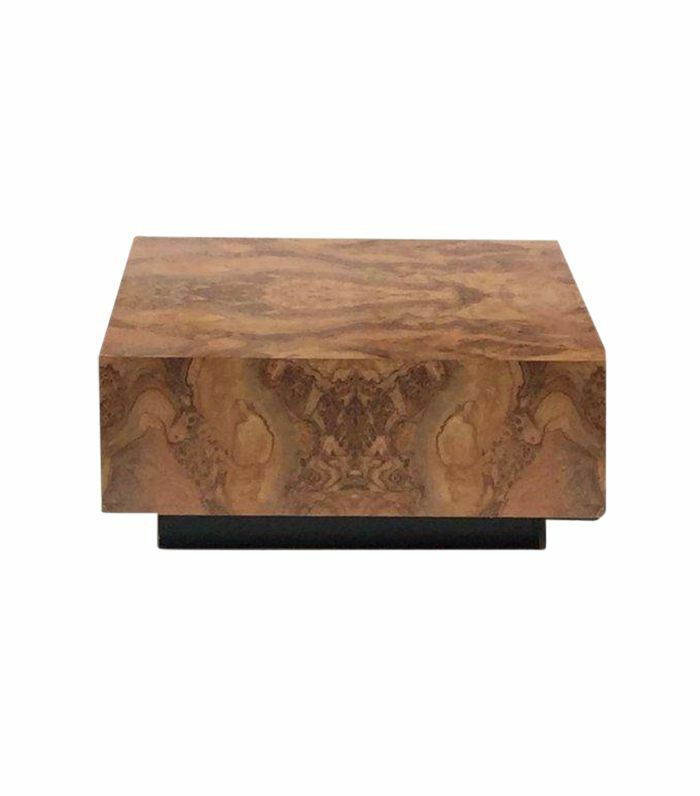 Bold yet timeless, this floating cube burl wood coffee table will complement a variety of living rooms. 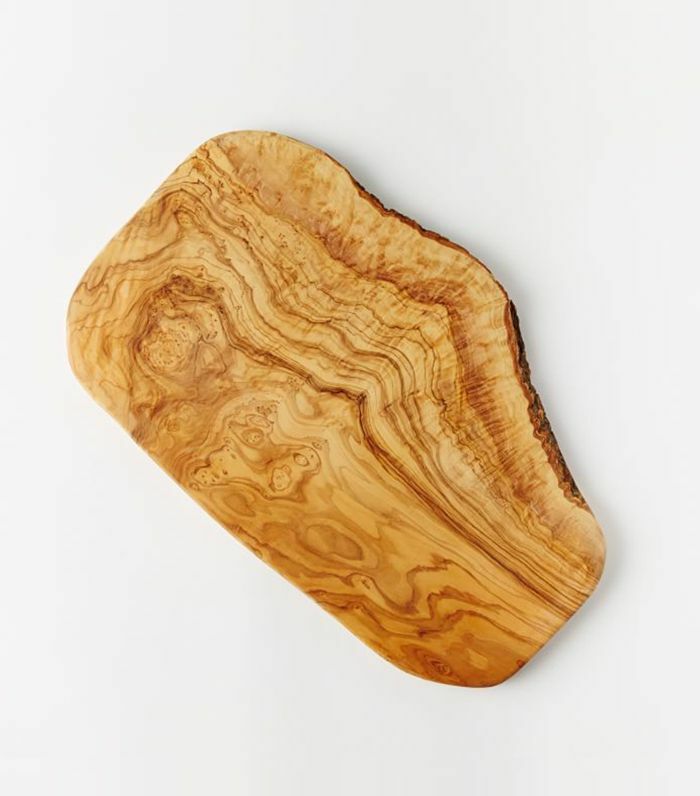 Why use a regular old cutting board when you can have one like this? 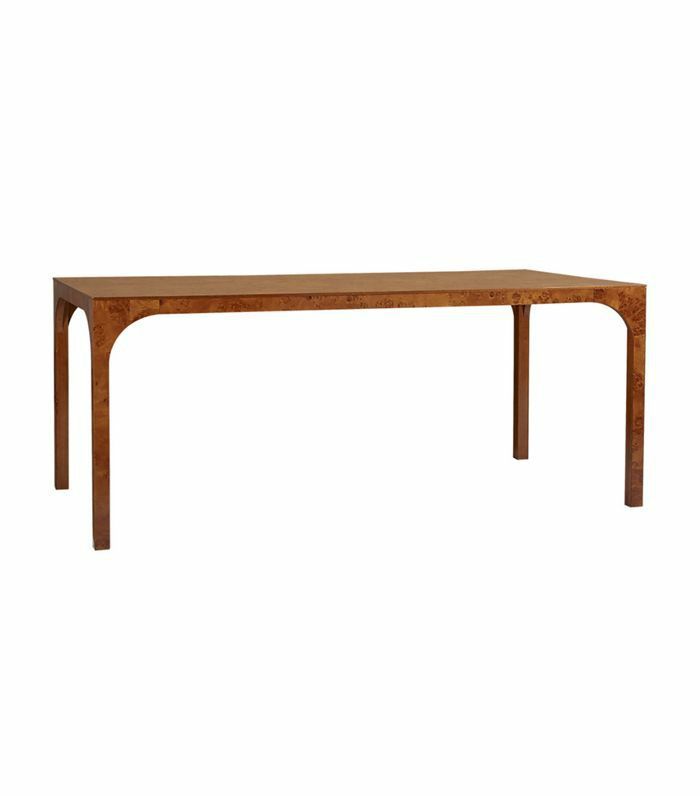 Spacious yet slim, this dark burl wood dining table manages to be both understated and bold. Breakfast in bed or bathroom organization solution, at your service. Speaking of smart storage solutions, this is the perfect trunk to tuck away toys in the playroom or blankets and throws in the bedroom and living room. This raw edge desk is going to be the most showstopping piece in sight wherever it goes. The rounded leg is such an interesting contrast against the clean-lined lucite base and jagged surface. 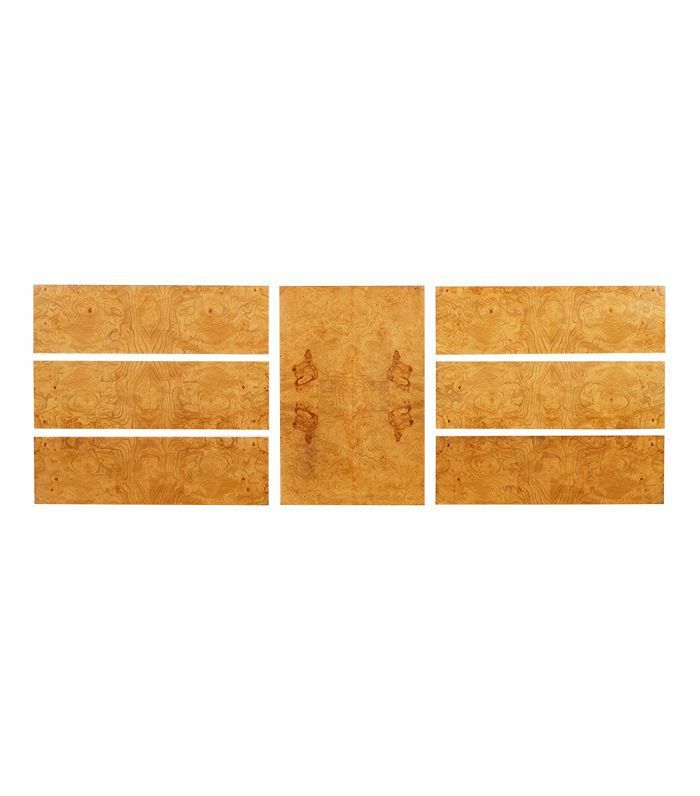 Minimalist, sleek, and clean-lined, light blonde burl wood strikes a nice balance between intensity and gentleness. It would look perfect as a bedside table. 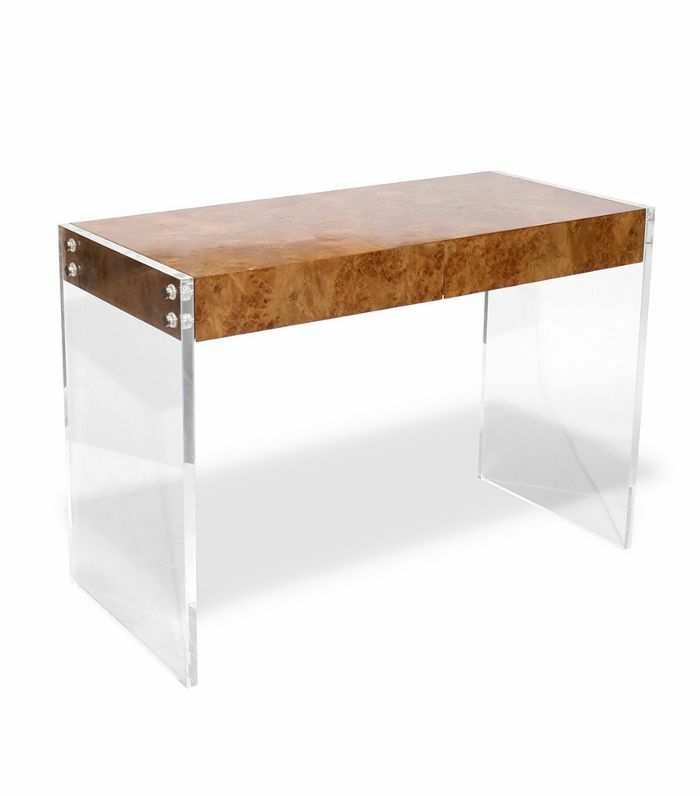 Here's another stylish desk that makes a case for the lucite and burl wood duo. 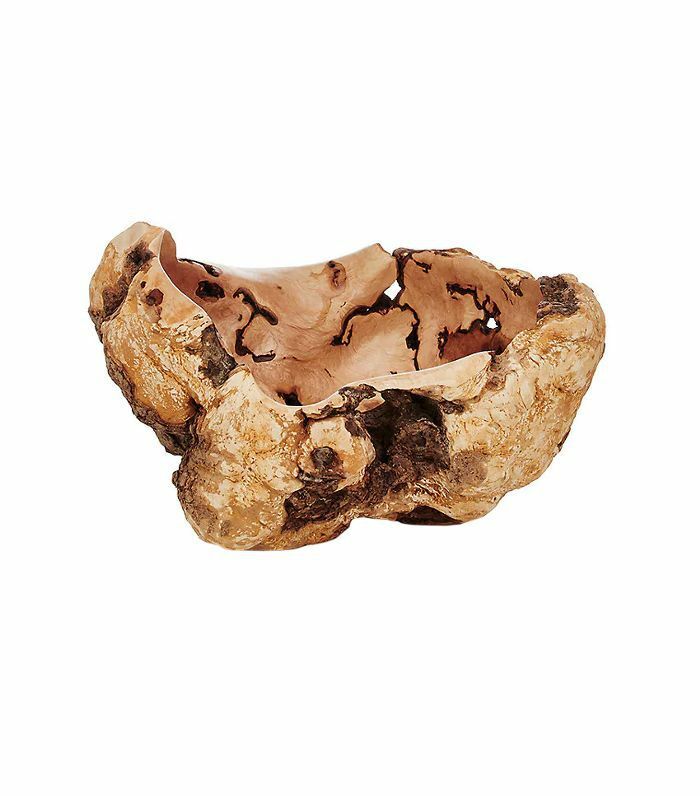 Above the console table or the sink in a powder room, this organic burl wood oval mirror would look beautiful in a nature-inspired home or beach house. 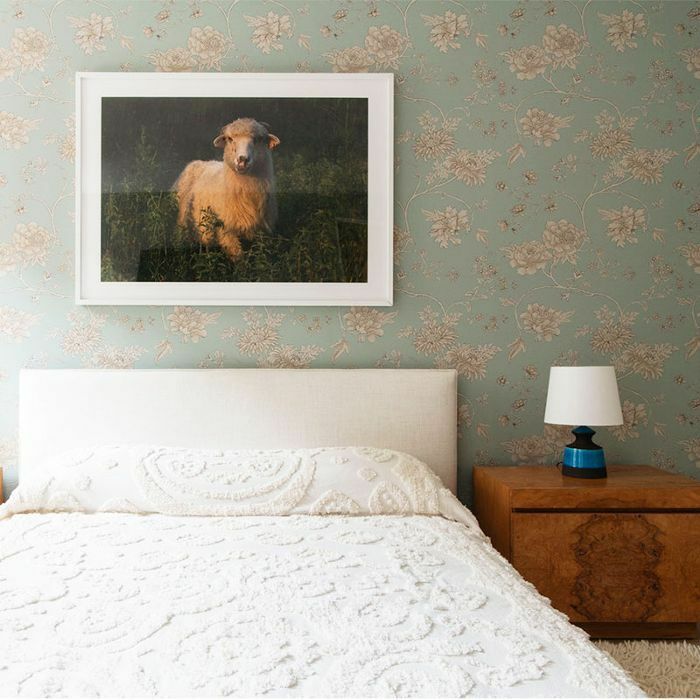 Subscribe to our newsletter for more interior design trends and shopping guides.